Victoria’s Secret. “Easter Bunny” ! 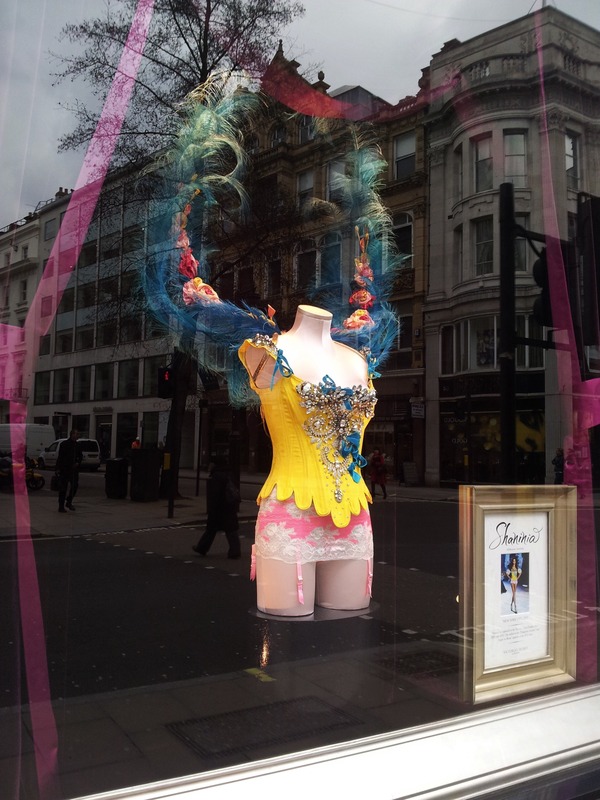 Victoria’s Secret on Bond Street London. “Easter Bunny” extravaganza. Venice. by Mitro, Tatiana Tournemaine Art Galerie. Paris. Venice. Mixed Media painting 120X120 cms, by Mitro, French-Roumainian painter. 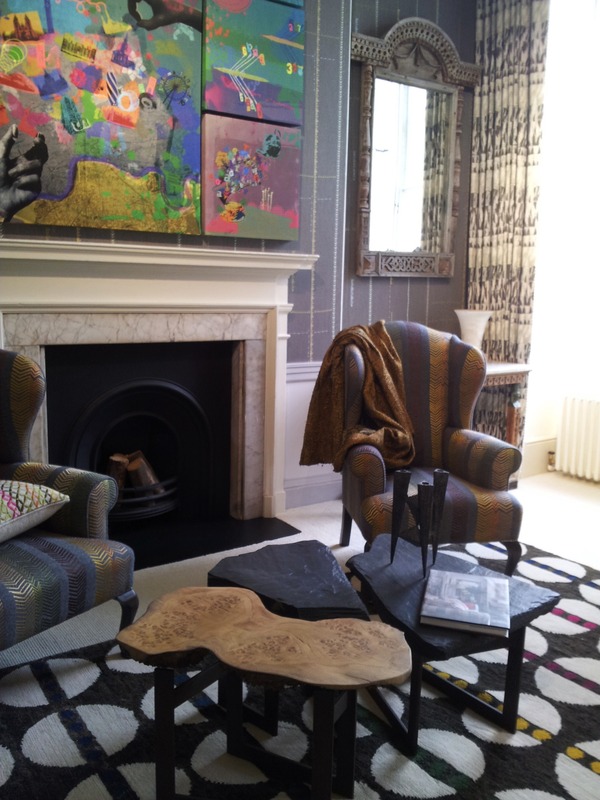 Art Galerie Tatiana Tourmemaine, rue du Fbg. St. Honore. Next door to the celebrated Hotel Bristol. Paris. L’Opera by Mitro. 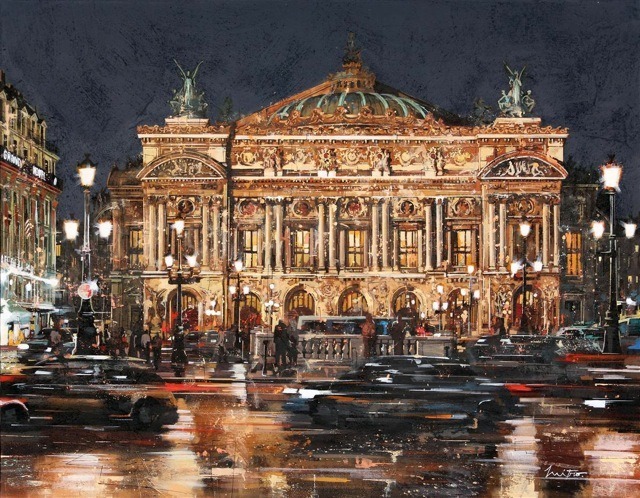 One of a series of paintings dedicated to great Cities, shown in Tatiana Tournemaine Art Galerie next door to the famous Hotel Bristol, rue du Fbg St Honore in Paris. Demetre Chiparus. 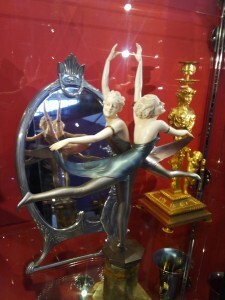 Stunning Art Deco gilded bronze sculpture. “Vedette”.Hickmet Fine Art. Demetre Chiparus. “Vedette”. Art Deco gilt bronze sculpture inspired by the Ballets Russes in 1920’s Paris. Intricate detail of the costume is based on the designer Leon Bakst costumes for the Ballets Russes. Chiparus sculptures are in constant demand by the World’s Glitterati for their sophisticated collections. 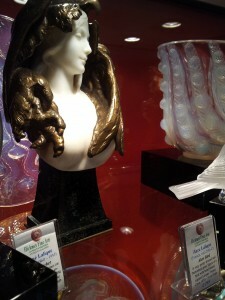 This signed sculpture is on the original beautiful marble base. Hickmet Fine Art. SOMERSET HOUSE.WOOL HOUSE NEWLY INSTALLED. CAMPAIGN FOR WOOL. SOMERSET HOUSE. WOOL HOUSE NEWLY INSTALLED. SOMERSET HOUSE. WOOL HOUSE NEWLY INSTALLED. CAMPAIGN FOR WOOL. SHOWCASES WOOL USED IN THE HOME. KIT KEMP BEDROOM FEATURED HERE. WOOL IS A FIBRE FOR THE LIFE WE LEAD,THE PEOPLE WE LOVE, THE PLANET WE INHABIT. SOMERSET HOUSE. NEWLY INSTALLED WOOL HOUSE. CAMPAIGN FOR WOOL. What spectacular weather over the weekend – so close to Easter as well! McKinnon and Harris. 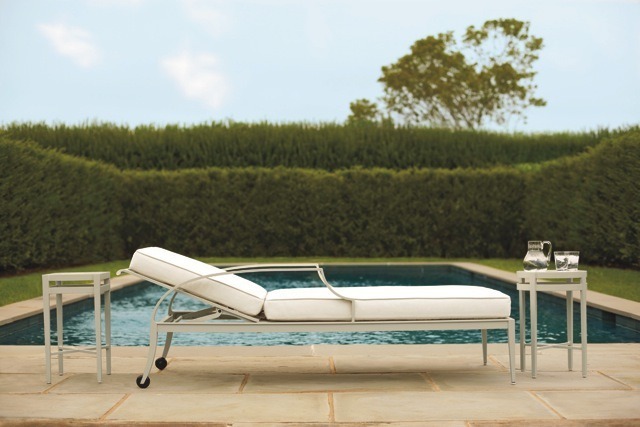 Aluminium Furniture made in USA. From rooftops to poolside, via the Super-yacht. Furniture for outside Farniente. McKinnon and Harris. Farniente assured. The ultimate in outside furniture, for city roof tops,by the pool, or on the super yachts.No compromise, substantial quality aluminium frames. High performance, powder coated, air process finish paints, of weather resistant, architectural grade. A breathtaking palette of classical 21 soft lustre,matte colours . Strong cotton covered cushions. Furniture made in USA. Andy Warhol rare silver Marilyn. Quittenbaum Auctions. Andy Warhol rare & stunning version in silver/grey portrait image of Marilyn Monroe. offered for sale @ Quittenbaum Auctions. Gio Ponte iconic light coming up for sale @ Quittenbaum. Gio Ponte Light. Coming up for sale @ Quittenbaum, Auction House. 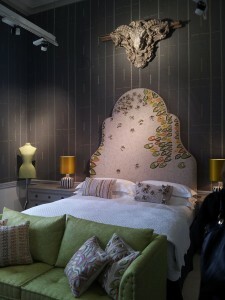 Charlotte Moss Award winning USA Interior Decorator. 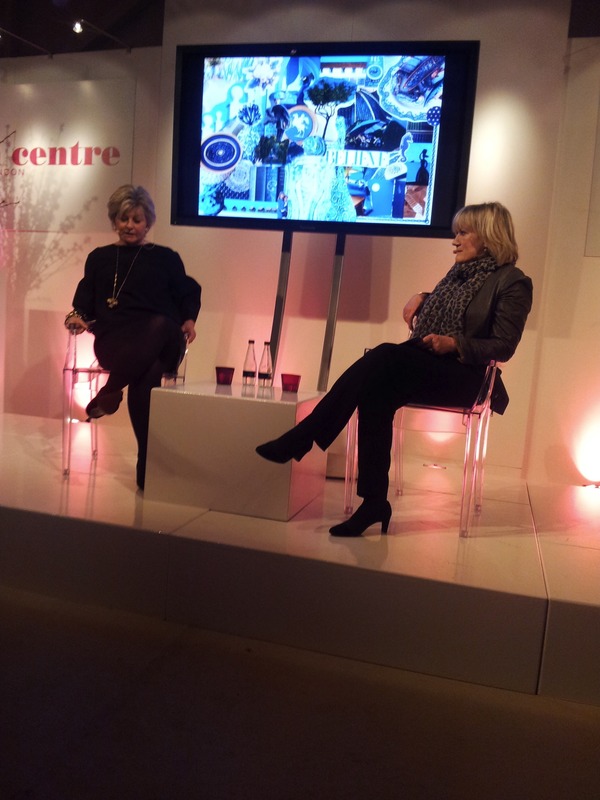 In conversation with House & Garden editor, Susan Crewe. Francis Sultana. Interior Decorator. 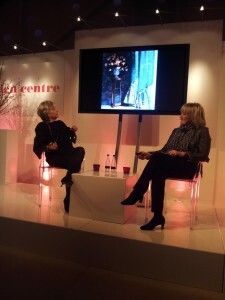 In conversation with Lucia Van der Post. 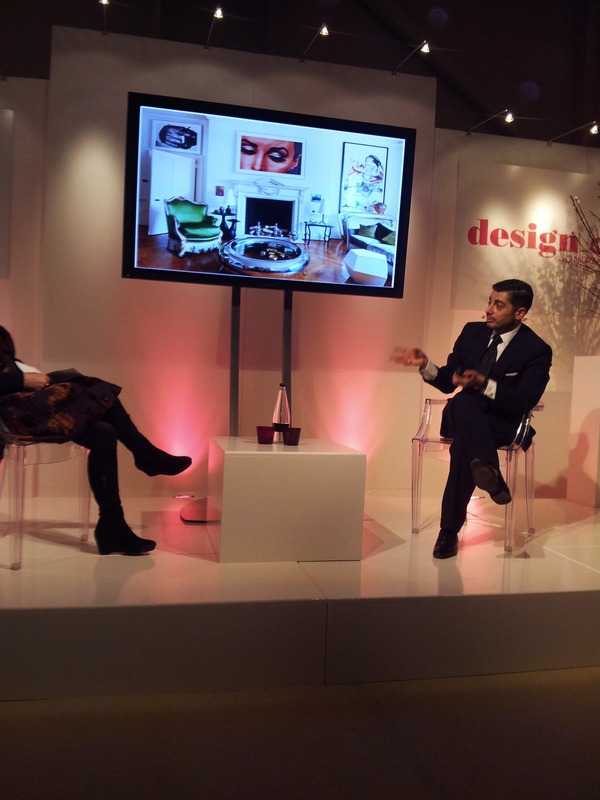 Francis Sultana, sought after Interior Decorator, in conversation with Lucia Van der Post. Former Editor of FT “How to Spend It”. Illustrating his chat with an image of his Dining room, in a Georgian House. 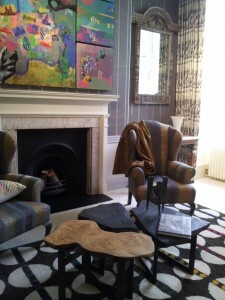 A chic mixture of classical furniture, iconic modern lighting accessories,& Contemporary Art. Chelsea Harbour Design Week. 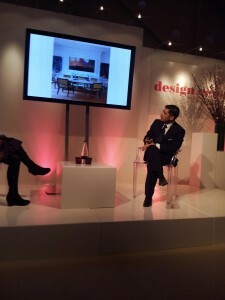 Thomas Pheasant,one of America’s leading Design forces,”every room deserves a piece of jewellery”. Runaway best seller, “Sunburst Mirror”. Baker Furnishings @ Chelsea Harbour Design Centre. 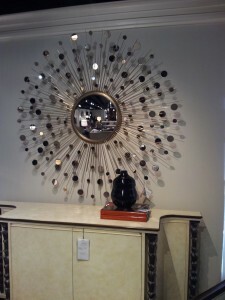 Thomas Pheasant Sunburst mirror. “Every room deserves a piece of jewellery.” This Sunburst mirror was a knockout seller on a US TV Programme, & remains a popular piece in the Collection. Thomas Pheasant,one of America’s leading Design Forces, @ Baker Furnishings, Chelsea Harbour Design Centre. Thomas Pheasant, one of America’s Leading Design Forces, @ Baker Furniture’s showrooms @ Chelsea Harbour Design Centre, with a new collection. Thomas Pheasant is one of America’s leading Design forces. Celebrates his 10th year with Baker Furniture. 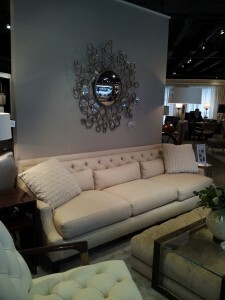 Pheasant is inspired by classical ideals & modern luxury. Thomas Pheasant has been selected to renovate Blair House, in Washington DC. Thomas Pheasant’s “New Look @ Home Furnishings”, can be seen at Baker Furniture’s showrooms at Chelsea Harbour Design Centre. Charlotte Moss USA Interior Decorator, in conversation with Susan Crewe, House & Garden Editor. Francis Sultana, Interior Decorator, in conversation with Lucia Van der Post. VENICE INSPIRATION. 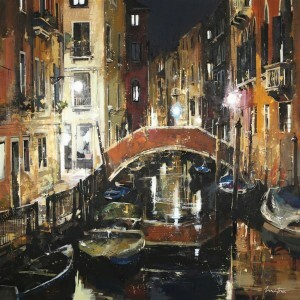 VENETIAN ARTIST ANNA PAOLA CIBIN. COLOURFUL FISH PAINTED ONTO SHIMMERING AQUA SILK VELVET – WITH LOCAL MURANO GLASS BEADS THAT HIGHLIGHT THE EYES. PICTURES.TAPESTRIES. & 3 DIMENSIONAL MOBILES. My website was designed by Ker-ching Web Design. Butterfly Dancers. Otto Poertzel. Hickmet Fine Arts. Antiques Fair Chelsea Town Hall. 13/17-03-13. Butterfly Dancers. Otto Poertzel. Exquisitely carved ivory & cold painted bronze for this iconic, & rare, piece of Art Sculpture from the late 1920’s. Hickmet Fine Arts. Demetre Chiparus. 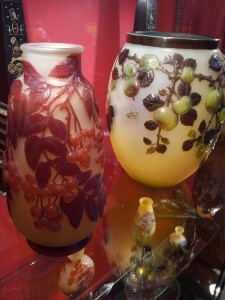 Antiques Fair Chelsea Town Hall. 13-17/03/13. Hickmet Fine Arts. 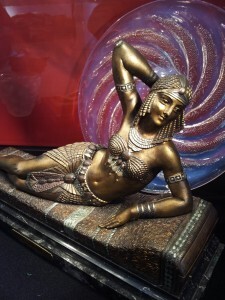 Cleopatra . 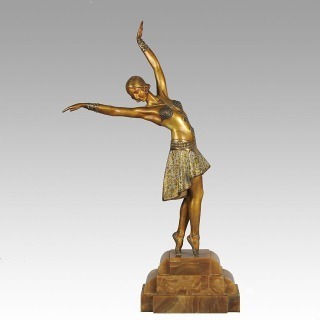 Demetre Chiparus alluring bronze sculpture, very sought after, inspired by the Bakst costumes & Les Ballets Russes, popular in Paris in the 1920s. Hickmet Fine Arts. GALLE SOUFFLE VASE. HICKMET FINE ARTS. ANTIQUES FAIR CHELSEA TOWN HALL 13-17.03.2013. TATE BRITAIN. PHANTOM RIDE.FROM 11TH MARCH 2013. Tate Britain today unveils a major new commission: Phantom Ride, by Turner-Prize winning artist Simon Starling (born 1967). Since 2012, a leading contemporary artist has been invited each year to develop a work inspired by Tate’s Collection for the Tate Britain Commission, supported by Sotheby’s. In response, Starling has created a film installation that haunts the grand neoclassical Duveen galleries at Tate Britain with ghosts of artworks that have occupied this space in the past. Phantom rides were films made in the late nineteenth century. Often filmed by a cameraman strapped to the front of a train, they gave the audience a dramatic sense of motion, as if travelling on an invisible vehicle. Echoing this tradition, Starling’s film invites visitors on a ride where a compelling flow of images creates a sensation of floating up to the gallery’s 15 metre high ceilings or swooping down to encounter artworks. Filmed with a now invisible motion control camera, the mechanical sounds of its motors and tracks form an evocative soundtrack. Barbra Streisand v. funny in her new film “Guilt Trip”. Barbra Streisand & Seth Rogen from a scene in “Guilt Trip”.Barbra Streisand’s brilliant timing & impersonation of a stereotypical “Momma” makes this a funny, very American film. Paramount Pictures Corp. & Skydance Productions. Photo San Emerson. Getty Images. VENICE. TEXTILE ARTIST ANNA PAOLA. VENETIAN ARTIST ON SILK VELVET. ANNA PAOLA. HAND BLOCKED WHITE/ LAVENDER BLUE/SILVER GREY/SHELL PINK & GOLD ON AN IVORY SILK VELVET PANEL. ANNA PAOLA HAS DEVELOPED UNIQUE VEGETABLE DYE TECHNIQUES. THE SILK VELVETS ARE THEN PAINTED AND EMBROIDERED FOR A SHIMMERING EFFECT. VENICE INSPIRED FORTUNY, & ANNA PAOLA IS A VENETIAN INSPIRED BY THE TEXTILE HISTORY OF HER CITY. “FROG IN THE LAGOON” BY ANNA PAOLA . 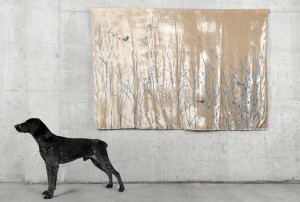 VENETIAN ARTIST ON SILK VELVET. GLORIOUS TINTS USING VEGETABLE DYES, UNIQUE DECOR TECHNIQUES, & BEADING. 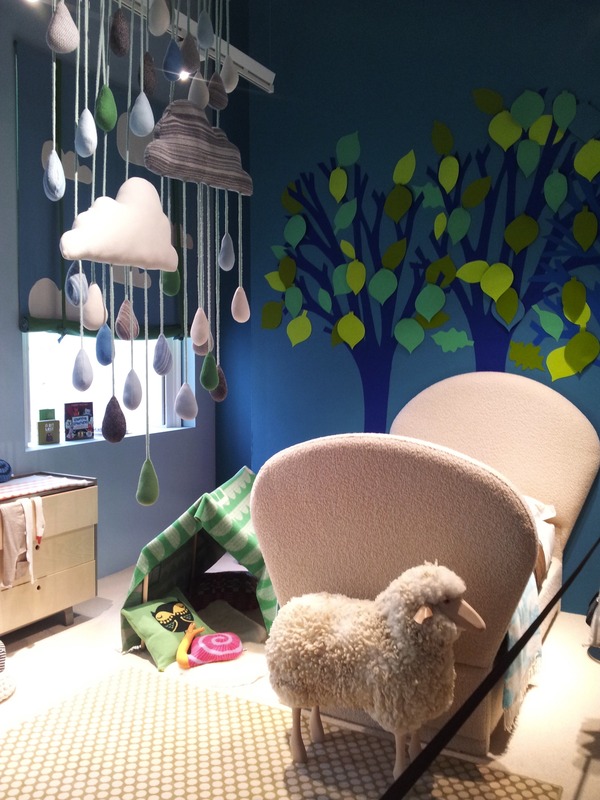 PICTURES,MURALS & 3 DIMENSIONAL “MOBILES”. Arbitrage. 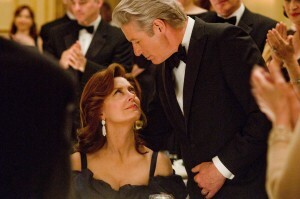 Richard Gere charismatic & elegant in a taut, tense thriller. Directed by Nicholas Jarecki. “Arbitrage”. Tense sophisticated thriller with Richard Gere elegant & charismatic in the lead role, of a New York Financier, with too many balls in the air . Shown in a scene with Nate Parker. Rivetting film that raises the questions between public & private morality. In breathless anticipation a full house awaited the end of the film….. Directed by Nicholas Jarecki. Photography Myles Aronowitz. “Arbitrage”. Tense,sophisticated thriller. Richard Gere’s charismatic performance dominates this film directed by Nicholas Jarecki. Rivetting thriller, with excellent performances by a strong supporting cast, incl. Tim Roth,& Nate Parker, raises the question between public & private immorality. Shown here with Susan Sarandon. Photography Myles Aronowitz. My posts will now automatically appear on Twitter! LaFerrari. 83rd Geneva Intl. 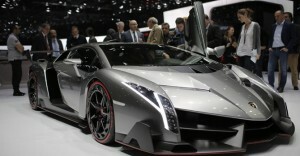 Motor Show where La Scuderia launches LaFerrari new supercar. LaFerrari Supercar launched by La Scuderia Ferrari @ the 83rd Geneva Intl Motor Show. 7-17/03/2013. LaFerrari features a 950bhp petrol-electric hybrid drivetrain & a top speed in excess of 217 mph. Production limited to 499 models. 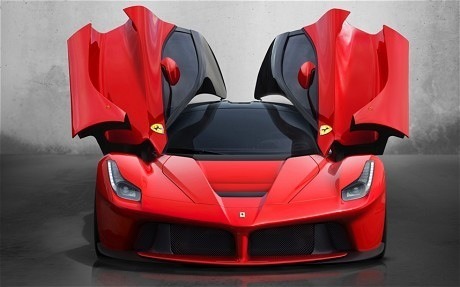 LaFerrari makes full use of La Scuderia’s Formula One know-how. STINGRAY COUPE. General Motors. 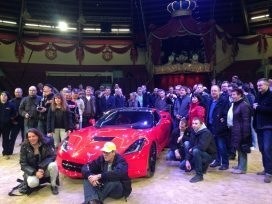 As curtain raiser to the 83rd Geneva Intl Motor Show,prerevealed, in 3 locations, Frankfurt,Munich & Zurich, to their fans, the new Stingray Coupe, which is to be launched in Europe later in 2013. 83rd Geneva Intl. Motor Show. 7-17 March 2013. Lamborghini Veneno. Victoria & Albert Museum. Treasures of the Royal Courts:Tudors,Stuarts, & the Russian Tsars. Victoria & Albert Museum. 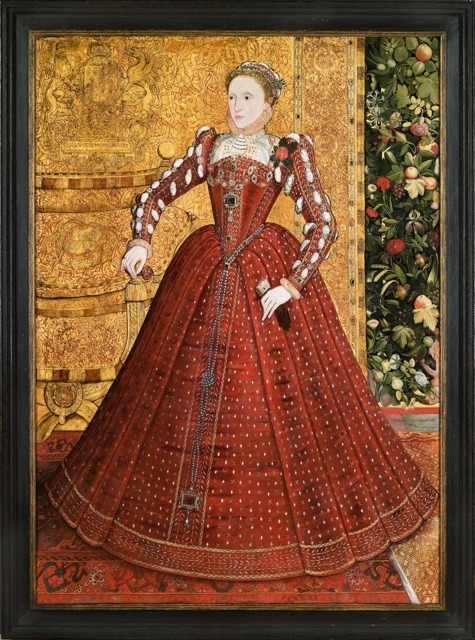 TREASURES OF THE ROYAL COURTS: TUDORS,STUARTS, & THE RUSSIAN TSARS. 9/03/2013 – 14/07/2013. FEATURED HAMPDEN PORTRAIT OF ELIZABETH 1st. ATTRIBUTED TO STEVEN van HERWIJK,OR STEVEN van der MEULEN. ENGLAND c.1560. copyright. 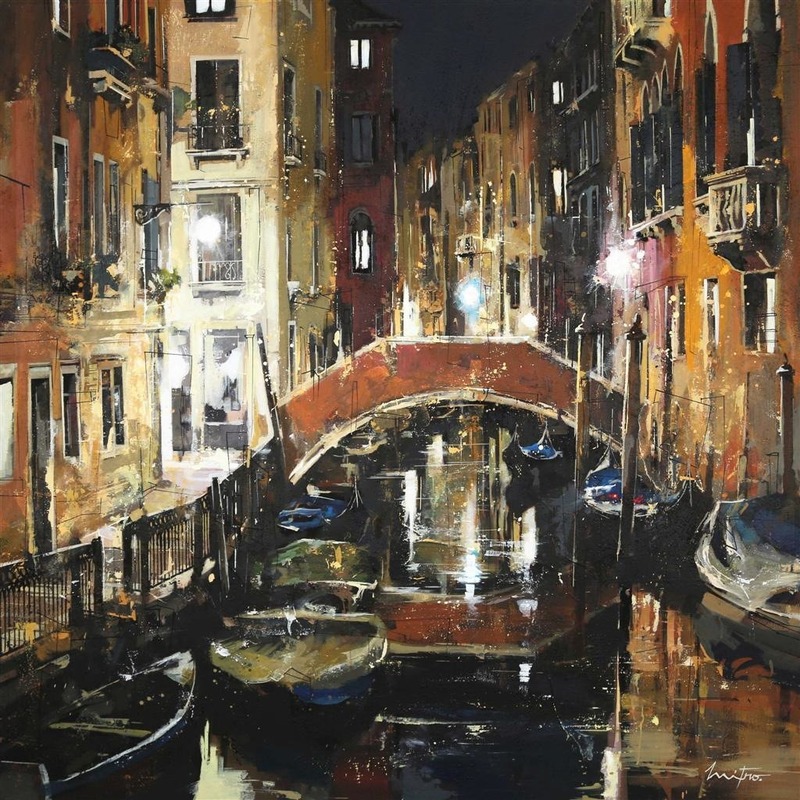 Philip Mould Ltd.
GALERIE PRIMO MARELLA, MILAN SPECIALISES IN CONTEMPORARY ART FROM ALL ROUND THE PACIFIC BASIN. A DIFFERENT VISUAL WORLD. OFTEN COLOURFULLY CHALLENGING. “CLOUD ERROR”, FIBREGLASS/RESIN/POLYURETHANE. ARTIST RONALD VENTURA. PRIMO MARELLA GALERIE. MILAN. 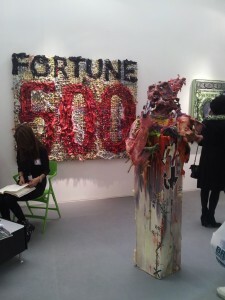 @ART13 @ OLYMPIA LONDON. PRIMO MARELLA GALERIE.MILAN. A GALERIE SPECIALISING IN CONTEMPORARY ART FROM THE PACIFIC BASIN. 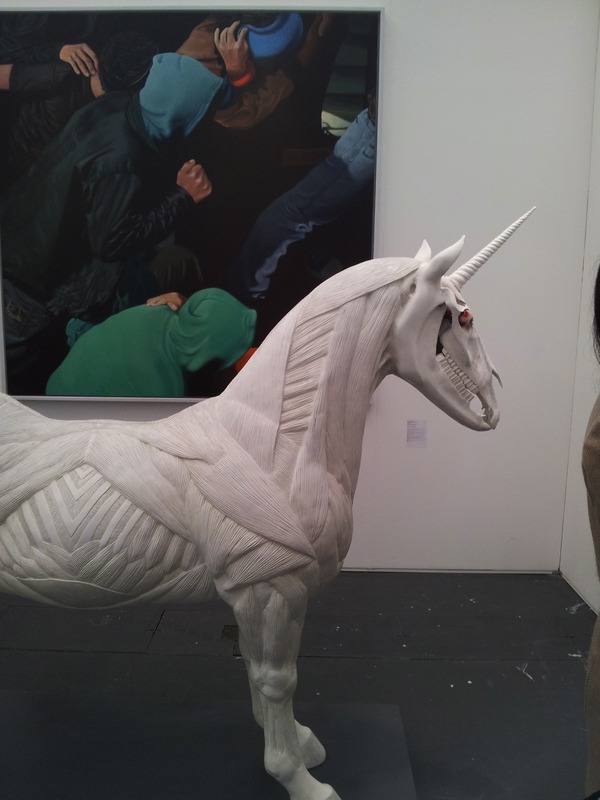 ART13 @ OLYMPIA LONDON. 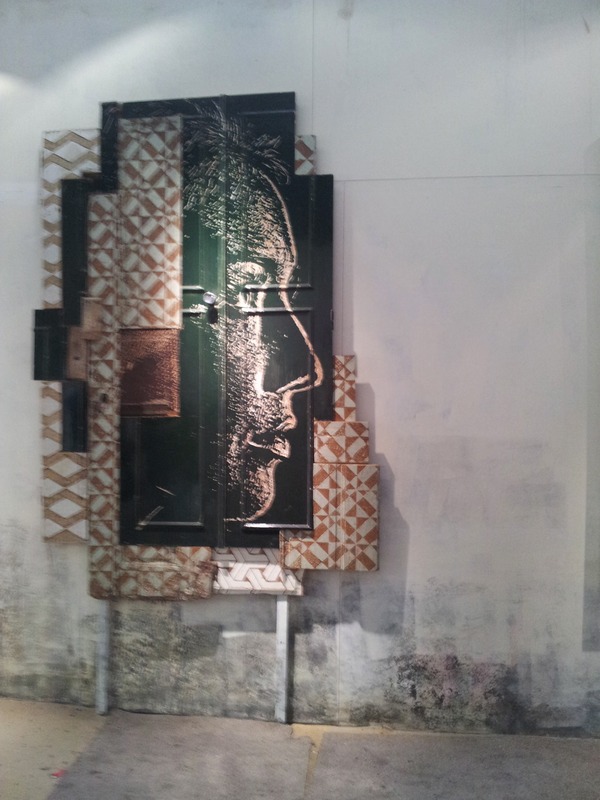 LAZARIDES GALERIE SHOWING AT ART13 LONDON OLYMPIA. LAZARIDES GALERIE ITEM CHOSEN FOR THE INAUGURAL ART13 FAIR. LONDON OLYMPIA. LAZARIDES 11 RATHBONE PLACE W1. VERY UPBEAT ABOUT THE SHOW, DESIGNED A GRUNGY SQUAT ATMOSPHERE TO SHOW THEIR HIGHLY INDIVIDUAL & HIP ART SELECTION. 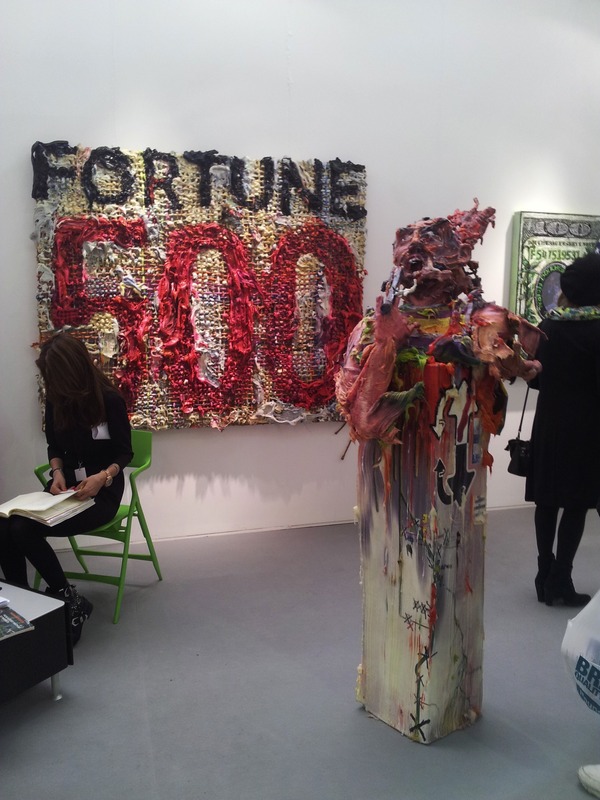 JEROME ZODO GALERIE MILAN @ ARTFAIR13 OLYMPIA LONDON. 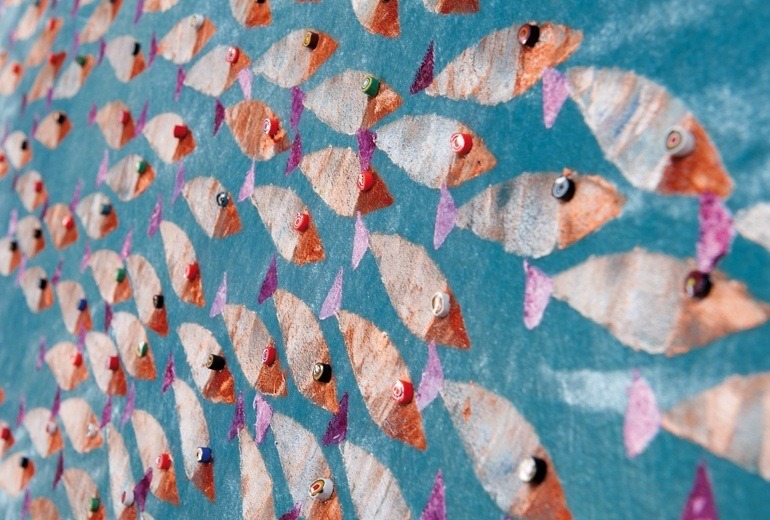 POSTMASTERS GALLERY, NEW YORK, FEATURES NEW YORK BASED ITALIAN ARTIST FEDERICO SOLMI. 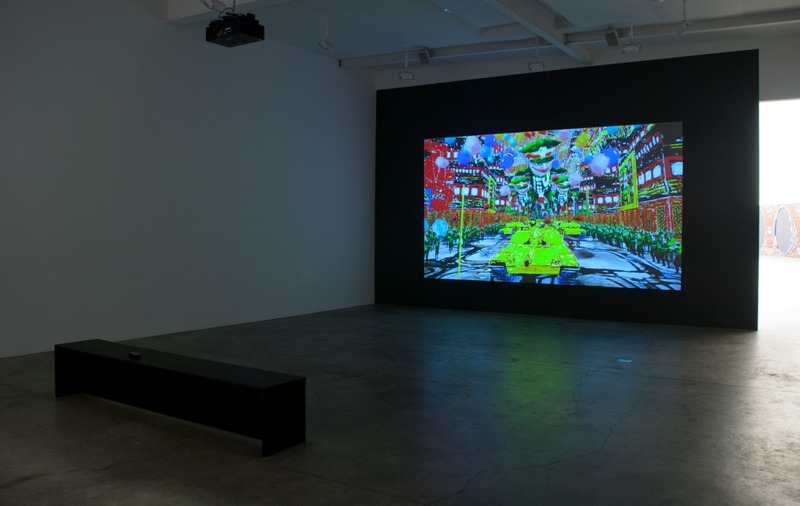 POSTMASTERS SHOW CENTRES ON FEDERICO SOLMI’S MOST RECENT ANIMATED VIDEO “CHINESE DEMOCRACY” & “LAST DAY ON EARTH”. 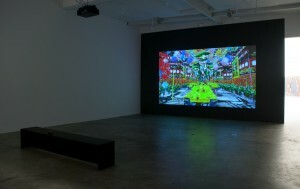 A GROUP OF HEAVILY TEXTURED, VIVIDLY COLOURED, VIDEO PAINTINGS & OBJECTS. FEB 16 – MAR 16.